In Illinois, temperatures could rise by 80 degrees within days. In Michigan, melting snow and rain and a 17-mile ice jam on the Muskegon River could lead to flooding. And across the Midwest, the warmer forecast was sure to bring more broken roads and busted water mains. The polar vortex that brought many cities to a standstill was expected to come to a swift end with a rapid thaw that experts say could be unprecedented. But the sudden swing from long johns to short sleeves could create problems of its own. "I don't think there's ever been a case where we've seen (such a big) shift in temperatures," in the winter, said Jeff Masters, meteorology director of the Weather Underground firm. "Past record-cold waves have not dissipated this quickly. ... Here we are, going right into spring-like temperatures." On Thursday, the system marched east, spreading arctic conditions over an area spanning from Buffalo to Brooklyn. 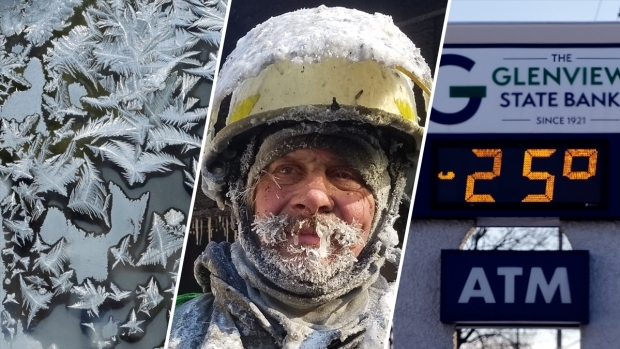 In western New York, a storm that dumped up to 20 inches of snow gave way to subzero temperatures and face-stinging wind chills. In New York City, about 200 firefighters battling a blaze in a commercial building took turns getting warm on buses. The number of deaths that could be blamed on the cold climbed to at least 15. Rockford, Illinois, was at a record-breaking minus 31 on Thursday morning but should be around 50 on Monday. Other previously frozen areas could see temperatures 55 degrees or higher. 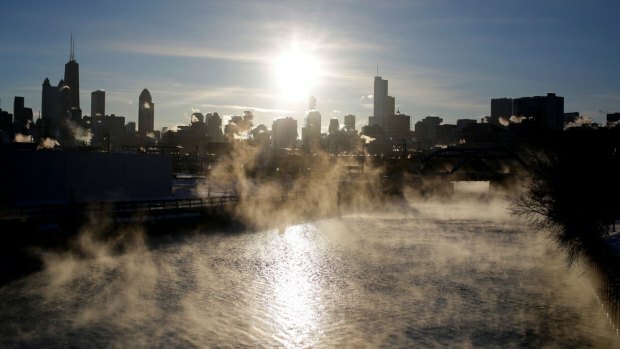 The dramatic warm-up will offer a respite from the bone-chilling cold that canceled schools, closed businesses and halted trains. But potholes will appear on roads and bridges weakened by the freeze-thaw cycle. The same cycle can crack water mains and homeowners' pipes. Scores of vehicles will be left with flat tires and bent rims. In other signs that the worst of the deep freeze was ending, Xcel Energy on Thursday lifted a request to its Minnesota natural gas customers to temporarily lower their thermostats to ease concerns about conserving gas. Earlier in the day, several cities set new record lows. Rockford, Illinois, saw a record low temperature of minus 31, on Thursday. Cedar Rapids, Iowa, set a daily record low of minus 30 degrees. The Polar Vortex one ups one of the coolest jobs in Des Moines, Iowa. 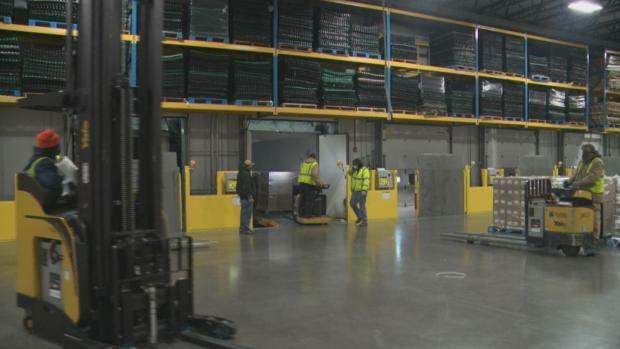 Men who work inside coolers up to -10 degrees say it's warmer in the freezers than it is outside. In Michigan, efforts to conserve heat during the extreme cold reduced usage by 10 percent following a fire at a major natural gas facility, officials said. Consumers Energy, the state's largest supplier of natural gas, asked its 1.7 million customers and others to continue to set their thermostats at 65 degrees or lower until Friday morning. At least 144 people visited hospital emergency rooms for cold-related injuries over two days. 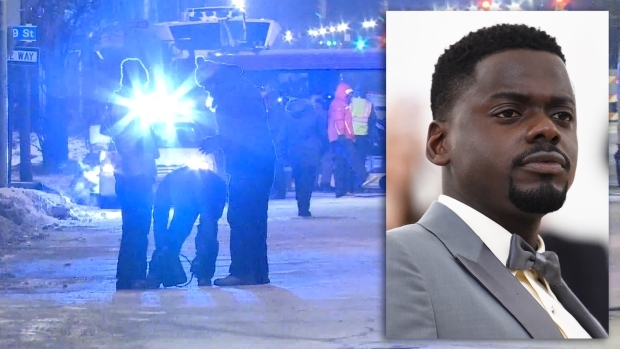 Most of the injuries were hypothermia or frostbite, according to a spokesman for the Illinois Department of Public Health. The film crew endured subzero temperatures overnight.